The current exchange rate ($1 = 20.69 Mexican pesos) makes Mexico one of the most affordable destinations. 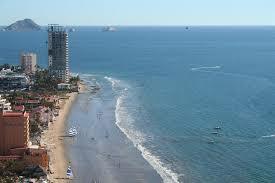 For the frugal traveler who wants to enjoy more culture than they might in the Riviera Maya, my top pick is Mazatlan. As the shrimp capital of Mexico and a foodie paradise, Mazatlan is teeming with awesome eateries and fresh, interesting dishes. Hotels (including all-inclusive properties) are extremely inexpensive and authentic since most aren’t part of the huge chains. El Cid Marina has awesome pools that are perfect for families, great food and huge rooms. (Rates are as low as $100 for a family of four.) You can also enjoy superb dining at a top-notch restaurant like Casa 46 for less than half what you’d pay in the United States. Side note: Sinaloa (the state where Mazatlan resides) grows the bulk of produce in Mexico, so Mazatlan produce is unbelievably cheap as a result. You see this reflected in top restaurants all the way down to street markets.